Boveda® packs come in various sizes and humidity levels and work best in airtight storage containers. 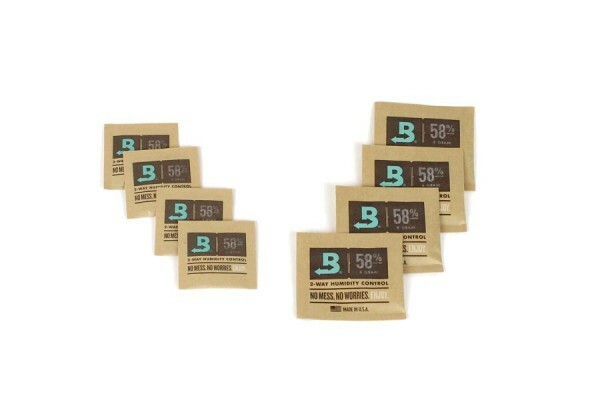 Boveda® packs can last between 6 and 10 months before needing replacement. It's lifespan may be increased by minimizing exposure to air. Once the humidity pack begins turning hard, the RH will begin to fall and this will signal the need for replacement. This larger pack comes individually packed. 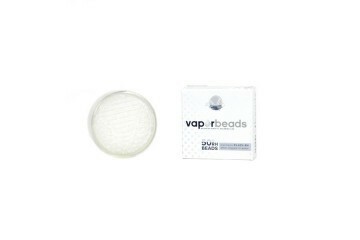 The smaller 8g packs work best in our airtight 1/2oz jars and the 4g packs work great in the airtight 1/4oz jars. These smaller packs are calibrated to maintain 58% RH, which is perfect for maintaining flavor. Vape enthusiasts will prefer this ratio. 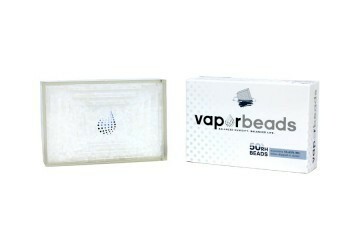 Smaller packs come in quantities of 4 units. 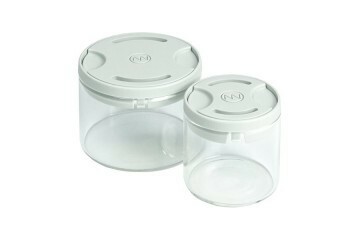 ​67g packs are calibrated to 62% RH and work best in storage containers holding at least 28.34g. They come in quantities of 1. 8g packs are calibrated to 58% RH and work best in storage containers holding 14.17g. They are sold in quantities of 4. 4g packs are calibrated to 58% RH and work best in storage containers holding 7.08g. They are sold in quantities of 4.